“Go, Braly, go! Go, everyone, go!” were among the spirited cheers coming from student spectators who waved their handmade posters and pom poms at Braly Elementary School on April 1. 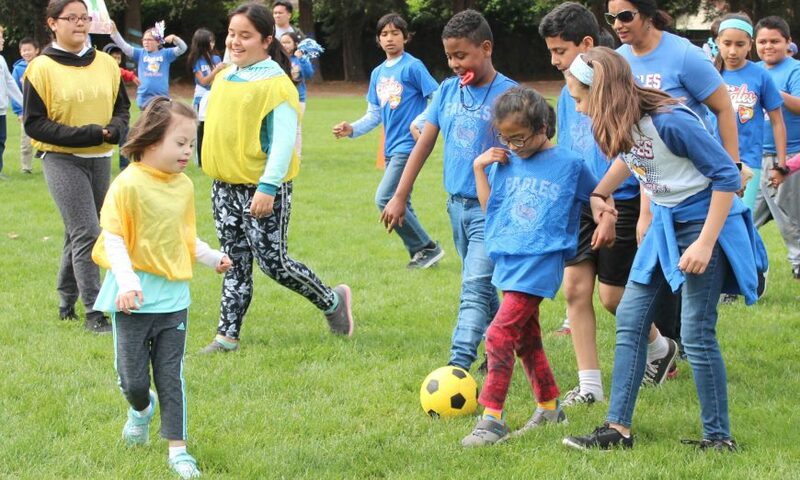 Special education students from all over the Santa Clara Unified School District participated in a soccer skills program through Special Olympics Northern California’s Schools Partnership Program. 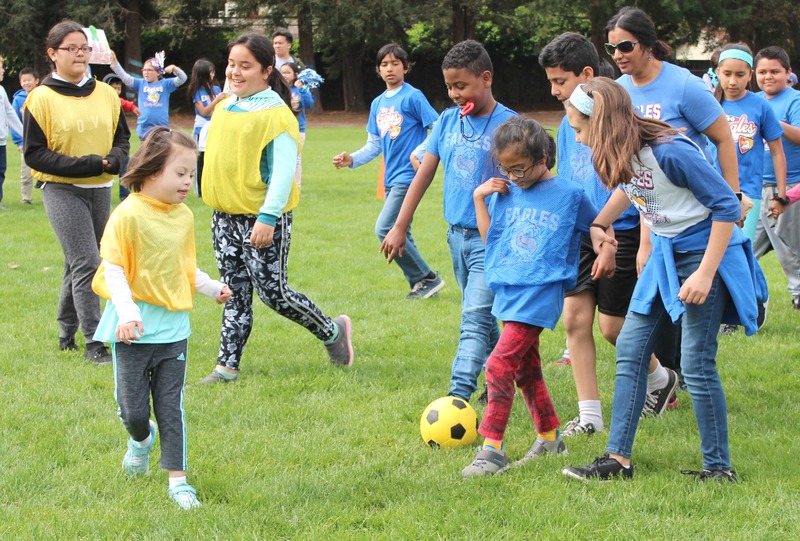 The young athletes showed off their smoothest soccer moves as their fifth-grade general education peer buddies helped them along. At the end of the program, local law enforcement officers distributed ribbons to the participants. At the skills centers were a soccer dribbling station (kicking the ball down the field), a soccer shooting station (kicking a ball toward a goal) and a soccer passing station (kicking a ball back and forth). When Alexis Vaile, 10, a Braly student and peer buddy, saw that her buddy wasn’t interested in playing a game, she patiently guided him through a skills center. “Originally, Amanda Abruzzini [a teacher at Montague] was the first special education teacher to bring Special Olympics to our district,” Knirck said. “Braly participated two years ago. 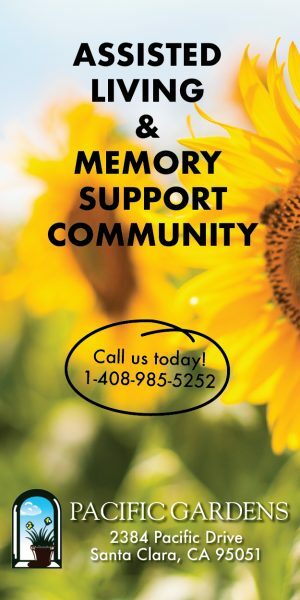 Last year, Montague was unable to host the event. But I set up Braly to do the Young Athletes event. According to Knirck, the Santa Clara Unified School District has been helping students work on their soccer skills for the last few months.